Simply put, personalization is Google’s way to deliver better results for you — the searcher. Google is always trying to show the most relevant results possible, so they change the results depending on what you’ve searched for in the past, your browsing history as well as any links you may have visited. While this is helpful a lot of the time, it can also skew the results if you look at your website a lot; or if you’re looking at the websites of your competition frequently. While it may be great for most of the time, it can be kind of bad when you’re checking rankings and trying to see how well you’re doing. 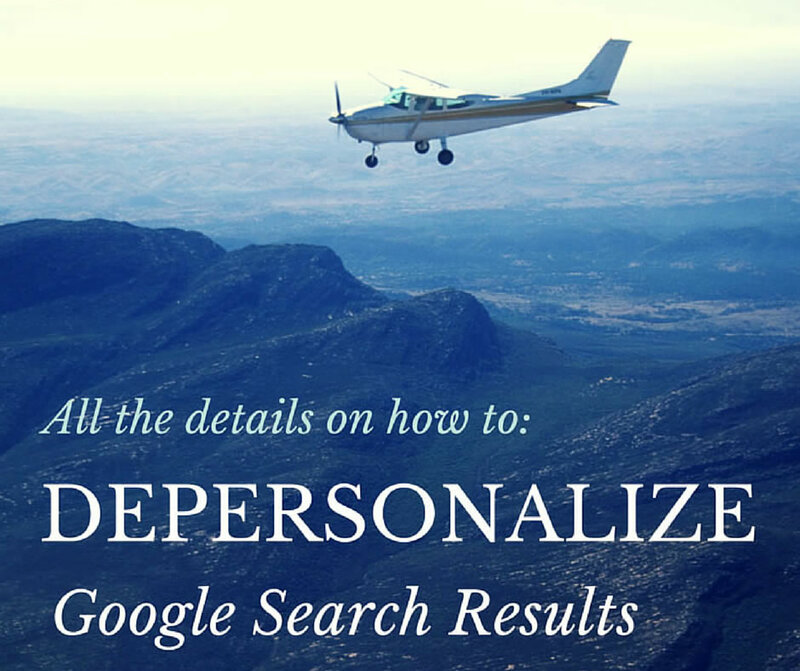 Below are some tips on how to depersonalize Google search results quickly and easily. The most common form of personalization is that Google rankings appear to much higher than they look to someone who doesn’t have the same search and click history. 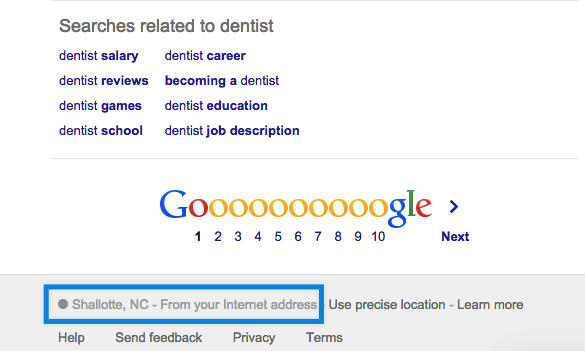 The search below was executed for a real estate client who’s actively working on a search engine optimization campaign just south of Myrtle Beach, SC. As you can see, the small area under the listing has a snippet informing me that I’ve searched for and visited this page “many” times and last visited from this account a few months ago. Which doesn’t contain the prompt of visiting the page and doesn’t show the star reviews and ratings system. Also, the SERP is structured very different on the search that’s logged in versus logged out. By far the most common area where people are personalized is based on browsing history. I have found the easiest way to combat this is to quickly open a new window in Google Incognito mode (keyboard shortcut for Mac is Command-Shift-N and Control-Shift-N). I use Google Chrome as my main web browser. Therefore, this leads me to quickly open a new window and do any kind of search I like without any type of search personalization history attached to it. If you were using another browser there are similar options in Firefox as well as Safari and Internet Explorer. While this will remove the personalization from your browsing history and cookies it does not remove location personalization which depends on the IP address of your Internet service provider. This one is a little bit harder to change or modify. 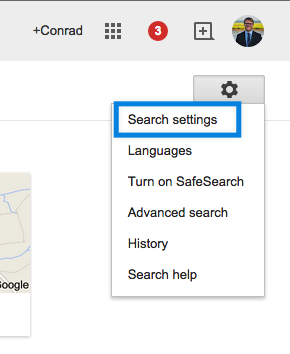 You have to go into your Google search settings and change the location manually from where Google thinks you are to where you’d like to “search from”. This is helpful if I want to check search rankings for a cleaning service in Orlando, Florida while I am centered just outside of Myrtle Beach, South Carolina. With Google increasing its frequency of map results in many different business verticals, it’s important that you see how your business shows up in search. Not just from your home base, but also from nearby service locations and cities where you do a lot of business. After you’ve changed around your location, you can do searches with local intent and find out where each keyword ranks in a completely different area. In short, removing some personalization in Google search results isn’t hard, but takes a few steps to combat. When you take the steps to go through and open incognito windows and similar location related biases, you’ll have more accurate information to review when checking your rankings. I’ve even created a free tool using Alfred App to depersonalize search results quickly in your browser.